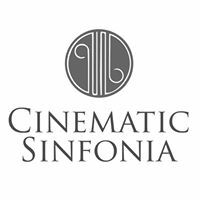 The Cinematic Sinfonia will be playing music from Rogue One, Lost, Up, Jurassic World, The Dawn of the Planet of the Apes and The Incredibles, as well as the rebooted Star Trek series. The concert is celebrating Michael Giacchino's 50th birthday, with conductor Ludwig Wicki and the English Chamber Choir. Box9 drumline will be supporting this prestigous event which features Dua Lipa, The Vamps, Liam Payne, Camilla Cabello and Rita Ora. Alun will be performing in the pit at Newport's Riverfront Theatre for his third Pantomime Season. This year the pantomime is Aladdin and is produced by The Production Exchange.